and unexpected feels. Feverborn is simply impossible to put down. Dublin has never been more dangerous. Shadowed streets hide dangerous atrocities, black holes gape and grow in the sky, and an Unseelie prince plots underground. Ancient magic sweeps through the city and inside those we’ve come to know so well. Barrons, Mac, Ryodan, Jada, Christian and Lor are back as their very existence hangs in the balance. When the veil between the human and the Fae world was destroyed, black vacuous holes sprawled throughout the sky, threatening to absorb the very Earth itself. Mac and her friends must call upon the Song of the Making—the only solution to this crescive problem. Problems, however, are in abundance. Mac struggles to bridge the divide between her and Jada. No one knows what Jada lived through in the Silvers and her ice-cold demeanor effectively freezes everyone out. In order to find the Song of the Making, Jada, Mac, Barrons and Ryodan must work together, but amongst these four, both betrayal and desire run deep, making it nearly impossible. To make matters worse, new enemies hunt them en masse, while old enemies plan to resurge. Even as intensity and action pulse vigorously on the page, Moning centers the story on the two women we love so much—Mac and Jada—both the struggle between them and the struggle inside of them. Mac vacillates between caging and unleashing the magic that hides inside of her, all the while trying to find traces of the old Mac in the toughened edges of the new Mac. She also faces surprises that question everything she’s come to know. Only Jerricho Barrons can ease her constant stream of overthinking. Meanwhile, Jada and Ryodan skirt stealthily around their emotions the only way they know how—an unyielding battle of words and wills. You can cut their tension with a knife. I’m not sure how after eight books Moning is able to do it, but each novel proves more exciting than its predecessor as she continues to raise the stakes in this ongoing, exhilarating saga. 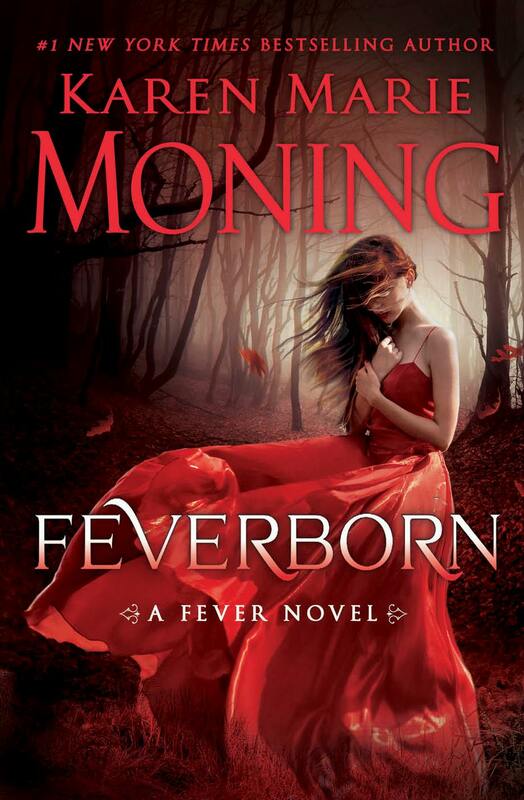 Feverborn is a fight between ancient magic and renewed determination, a duel between old wounds and deep-seated love. Once again, you won’t be able to put this book down.